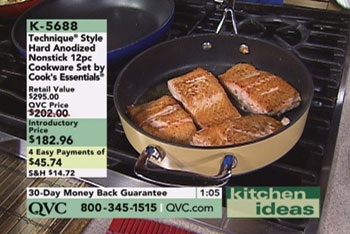 There’s news out this week the QVC is going to seek one of the tech world’s holy grails of TV advertising: easy ordering directly through your TV. Isn’t it tremendous that the technology is finally ready for this great step forward? Not really. Since the early 1990′s, system after system has been tried with the grand promise that easy ordering from TV will deliver outstanding results. And, it’s failed every time. Other consumers prefer to go online to seek the same information, review what other people say about the product, possibly chat with an operator via the computer, and then order when they’re comfortable. In other words: Today’s system is low pain and low risk while delivering important consumer value. That hasn’t been true of instant ordering. Instant ordering eliminates the important information possible through other mediums and increases the potential of making an error that can’t be corrected except by refusing the order when UPS arrives. And that’s why past tests have failed: there was no consumer problem to be solved AND instant ordering increased perceived risk. Note carefully: these are consumer problems, not technology problems!!!! There is a chance QVC’s effort might work. And that opportunity comes from two advantages. 1. The cost of implementing this is relatively low given digital cable progress. So, there’s no added cost to the consumer and QVC doesn’t need stellar results for it to work and pay-per-view has habituated consumers to ordering content instantly on the TV. 2. QVC has a dedicated repeat purchasing audience of around 3% to 5% of the population. Like Amazon’s one click ordering, they have higher trust meaning that consumers might perceive less risk than they have in past tests. Who knows what will happen. Based on past experience, I would have put the chances for success below 20% (that’s more than double what I’d give other instant TV ordering efforts). QVC needs to learn quick: this must be a consumer effort. It will only work by delivering value to their consumers. QVC and Ensequence need only take a brief tour around the junkyard of failed TV technology to see that just because a company wants a technology to work doesn’t mean it will. QVC UK has had one button order via the Sky digital satellite remote control for several years. At one time I believe it produced 40% of orders. Then Freeview, the UK's digital terrestrial system started and took away many of the Sky subscribers along with the sales. Some of that one button ordering was recovered once the technology crossed over but it took some time. . So, it has worked and no reason to believe the consumer will have any problem getting used to this on TV. As you mention Doug, we already have one click orders via Amazon and many other ecomm sites. TV and internet converges and 60% watch TV with a laptop today. Mobile smart phones are also changing the entire landscape of how we work, play, communicate and shop. It takes time for any innovation to bed in and become mass tolerated. And with convergence and mobile/handheld use growing, this will naturally be common place. This will not be for everyone, certainly more for the younger and early adapters. But enough will respond to make it a credible benefit for consumers and retailers. The technology makes it transparent today. But to succeed the technology must be transparent and trustworthy. The UK was mad about texting years before the Americans caught on. After years of resistance, the USA now uses TXT/SMS messaging at very high levels. In the UK, I see teens with Blackberry messaging, which is free, constantly communicating with each other. How they have so much to communicate about is still a mystery to me. I was reading something else about this on another blog. Interesting. Your position on it is diametrically opposed to what I read before. I am still contemplating over the opposite points of view, but I'm inclined heavily toward yours. And regardless, that's what is so superb about advanced democracy and the marketplace of thoughts on-line. Very informative blog post here. I just wanted to stop by and thank you for taking the time out of your very busy day to write this. I'll be back to read more in the future as well. Hello, great job! I did not expect this on Wednesday. This is agreat post. Thanks!